American mountain bike manufacturer Guerrilla Gravity have developed a unique way to source, construct, and produce carbon bike fiber frames in the US, from US-sourced materials, while keeping the cost low, and the material recyclable. 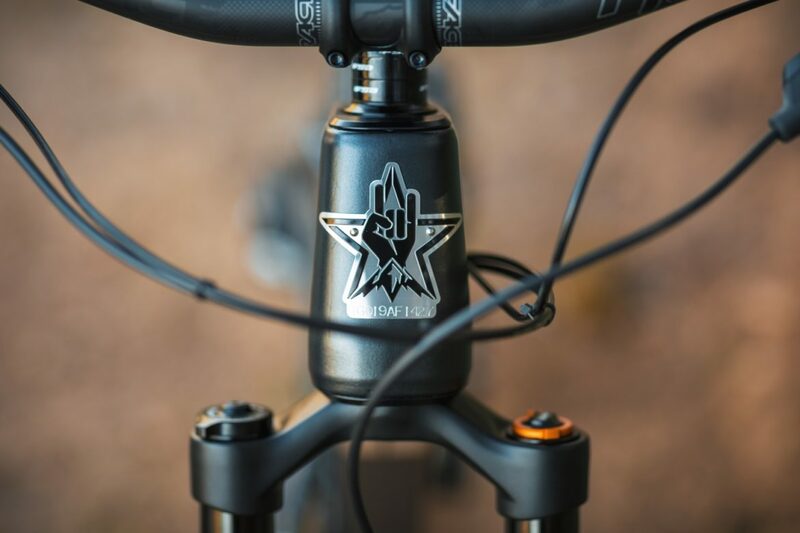 Starting this year, the Denver-based brand will market a single front triangle frame design, made from their new, proprietary carbon fiber material dubbed “Revved,” mated up with aluminum rear triangles. The seatstay can also be swapped across platforms to change the wheel size and travel of each bike. 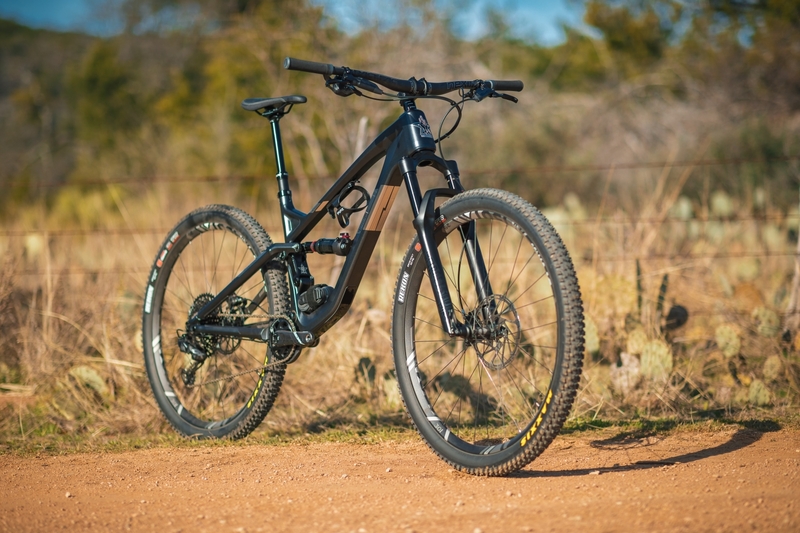 This means, for example, buyers could purchase a complete 155mm travel, 27.5-inch Megatrail, plus an extra seatstay for $445, along with the headset cups, and of course the proper components, and change the bike into a shorter travel, 120mm travel, 29-inch, Trail Pistol. Last year, the GT Fury also incorporated swappable seat stays to change the bike from 27.5- to 29-inch wheels, with a slight change in travel. However, that option is only available to buyers who purchase a frameset rather than a complete bike. Guerilla Gravity calls this the “Modular Frame Platform.” A “GeoAdjust Headset” also allows the change by modifying the reach, wheelbase, and the stack height to adjust the bottom bracket height for a different wheel size. Revved carbon fiber is a material developed by Guerrilla Gravity that uses a different curing process and resin than traditional carbon fiber. Guerrilla Gravity says that the material is 300% more impact resistant than other carbon fiber frames, requires 80% less layup time with automated fiber placement, and requires less sanding and finishing. The material is also supposed to be easier to recycle, according to the brand. Guerrilla Gravity wanted the new material to have a few qualities that would make the material more appealing. The material is sourced and recyclable in the US. Guerrilla Gravity president Will Montague notes that the traditional time to produce a carbon fiber frame overseas is anywhere from 24-40 hours of labor time. Montague and Guerrilla Gravity have always sought shorter supply chain methods, so they researched a more time-efficient process. The carbon-fiber resin and the curing method are also where the new process differs from most others, and lend to the new carbon’s characteristics and durability, Automated fiber placement helps expedite the process and cut a major portion of the assembly time. On top of that, the process is said to help consistency and cut human error in hand-placed layup. 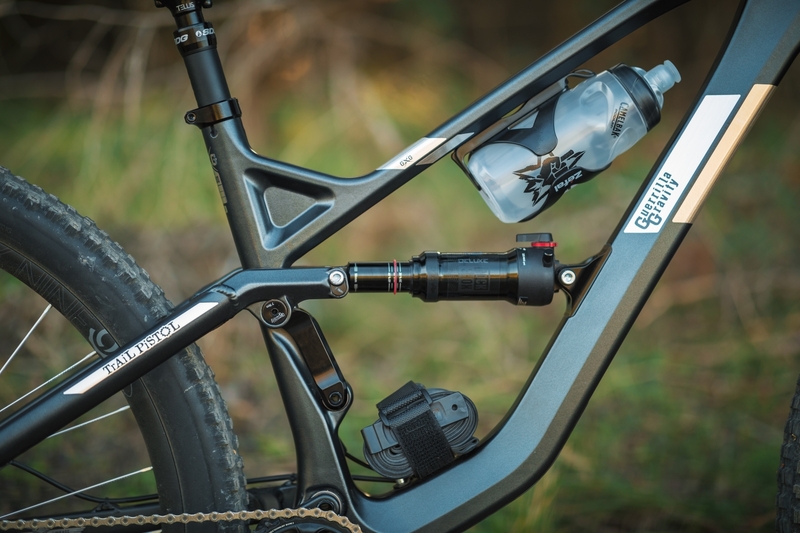 To Guerrilla Gravity’s knowledge, they are the first manufacturer in the bike industry to use this method. The next step in the process is a new curing method. 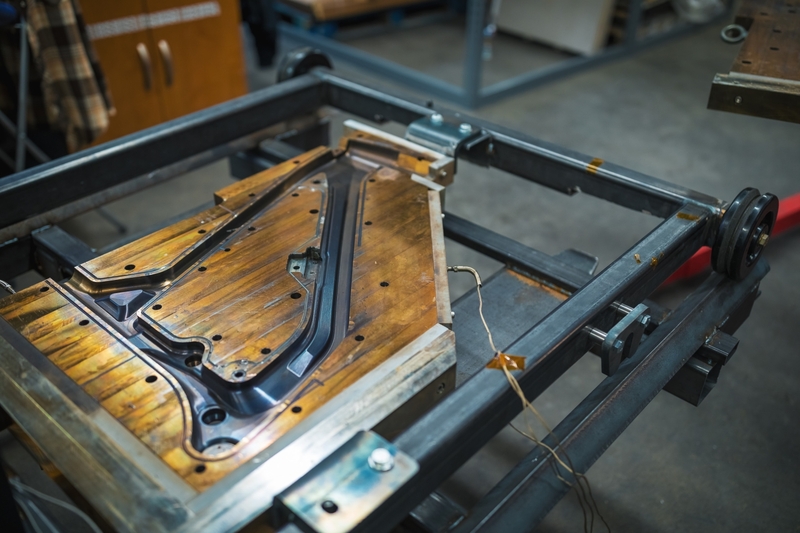 After carbon fiber is placed in the molds, everything is jointed and enters the “Frame maker 3000.” The fusing takes thirty minutes, whereas traditional carbon fiber frame curing can take hours. Much of the process is still under wraps, and the Revved carbon fiber is patent-pending. Guerrilla Gravity hasn’t been able to get the frames to fail yet in their impact or fatigue testing. 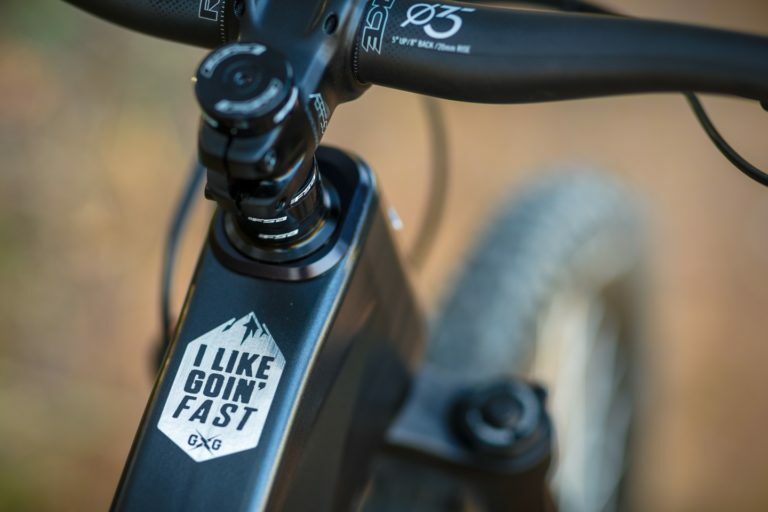 The frames have been subject to in-house impact tests and other industry standards, where results are compared with the previous aluminum frames, and another brand’s carbon frame. An unreleased video shows the aluminum frame severely denting, another brand’s carbon frame cracking and delaminating, and the new Guerrilla Gravity frame deflecting impact from a test where a heavy weight is dropped onto the down tube. In other tests, Guerrilla Gravity says the shock mounting hardware broke before anything else. 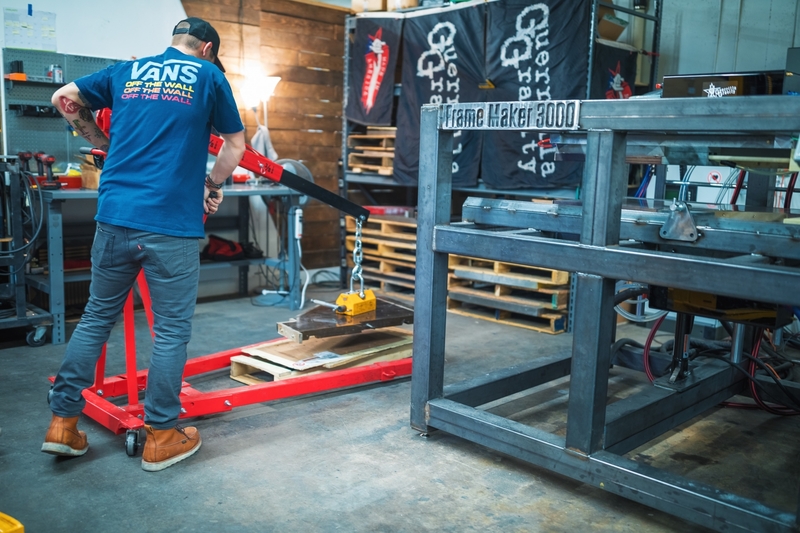 If a frame does brake, Guerrilla Gravity can get the material recycled in the United States. Manufacturing waste will eventually be recycled also. The new resin in use is said to be much easier to recycle than most carbon fiber and doesn’t require the resin to be stripped in the same way as most carbon fiber to make it recyclable. Aside from the new manufacturing process and the change to a carbon fiber frame and the Modular Frame Platform, the geometry, kinematics, and models haven’t changed a ton. The head angles are slacker, seat tubes are steeper, the reach is a little longer, and so are the wheel bases. Guerrilla Gravity still offers the Shred Dogg, Trail Pistol, Megatrail, and the Smash in their lineup. They’ll just have carbon front triangles now. The Pedalhead remains as well, and is still made of steel. It will be a while before the hardtail sees any changes from its metal construction. Montague says that the bikes don’t ride wholly different than the previous versions, aside from a noticeable increase in stiffness. The Shredd Dogg and Megatrail are both 27.5-inch models. 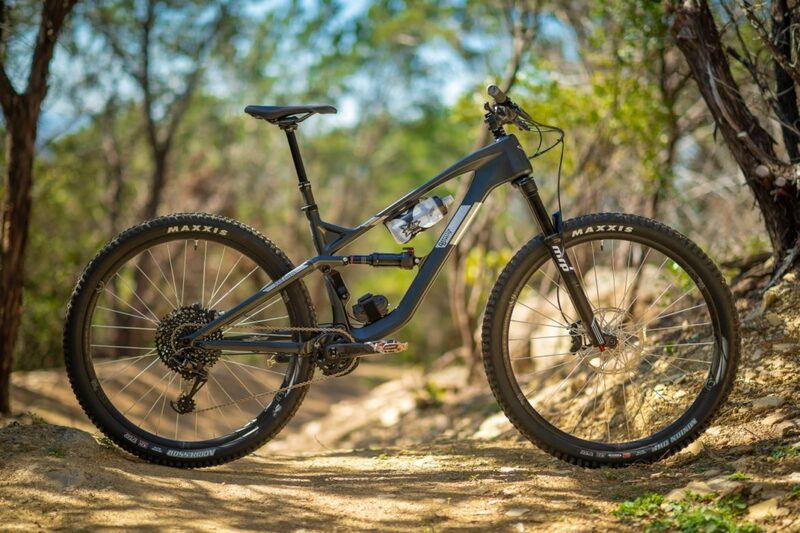 The Shredd Dogg’s travel was reduced by 5mm to 130mm in trail mode, and 140mm in gravity mode. The Megatrail was increased by 5mm in trail mode, to 155mm and stays at 165mm in gravity mode. The large, boxy head tube makes room for the GeoAdjust headset. Riders can then adjust the reach and wheelbase by 10mm. Photo: Justin van Alstyne. The Smash and Trail Pistol are 29-inch bikes. The Smash’s rear travel was lengthened by 5mm to 145mm. The Trail Pistol travel remained the same at 120mm, but did see geometry changes. The cost of a frameset has increased by $200, for the carbon front triangle frame, compared to $1,995 for the previous aluminum frameset. The price for a complete Guerrilla Gravity bike has also risen about $600 for the base-level build. The base-level build kit starts at $3,700 and includes a RockShox Yari or Revelation RC fork, SRAM NX Eagle drivetrain, Guide R or Level T brakes, and DT Swiss wheels. A mid-tier build with a RockShox Lyrik or Pike RC, SRAM GX Eagle drivetrain, SRAM Guide RS or Code R brakes, and DT Swiss wheels is $4,600. The top-level build is $5,700 and includes a Fox Performance Elite 36 Grip 2 or Rockshox Pike RC fork, a SRAM X01 Eagle drivetrain, SRAM Guide or Code RSC brakes, and DT Swiss XMC1200 wheels. Guerrilla Gravity also changed the frame size labeling from XS-L, to sizes 1, 2, 3, and 4. They expect to have size 3 builds in stock first and will have other sizing available soon. For more information, visit the Guerrilla Gravity website.